Every week we pull together a roundup of links full of great recipe links. We know it can be hard to get going on a cold January morning, so this week we're sharing 10 ideas for lightning-fast breakfasts that are also healthy and filling. Check out how FBCers from across Canada jumpstart their weekdays! 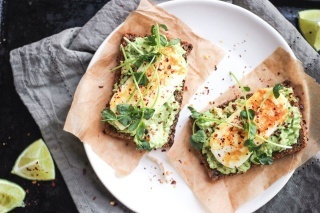 Avocado & Cheese Toast from Kristy at [She Eats](http://sheeats.ca/2015/01/healthy-breakfast-avocado-toast-infatuation/).